Saudi Arabia Crown Prince Mohammed bin Salman, left, gestures while speaking to Russian President Vladimir Putin during their meeting in Moscow, Russia, Thursday, June 14, 2018. 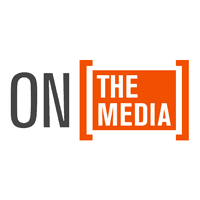 BROOKE GLADSTONE: From WNYC in New York, this is On The Media. I'm Brooke Gladstone. As I speak on Friday, Saudi TV is reporting that on October 2, journalist Jamal Khashoggi bled to death after a fist fight inside the Saudi consulate in Istanbul. Turkish officials say he was murdered and dismembered there by a team sent for that purpose. Earlier this week President Trump suggested rouge killers may be to blame but at every turn, the Saudi crown prince has been implicated. MALE CORRESPONDENT: One of the suspects who ended with a suspected hit squad two weeks ago is Mahair Mutrib, a former bodyguard of Crown Prince Mohammed bin Salman and a diplomat who was often seen traveling alongside the Royal. MALE CORRESPONDENT: The New York Times is reporting one of the suspects was a frequent companion of the crown prince. Three others linked to his security detail. And of course, there is the forensic doctor reportedly carrying a bone saw. FEMALE CORRESPONDENT: The real head-scratcher remains, why is Donald Trump doing Saudi Arabia's public relations work for them and do his comments about rogue killers match the information he's been given from his own intelligence agencies. BROOKE GLADSTONE: Another head scratcher is why for so long the American press seemed to be doing the Saudi royals’ PR work too. 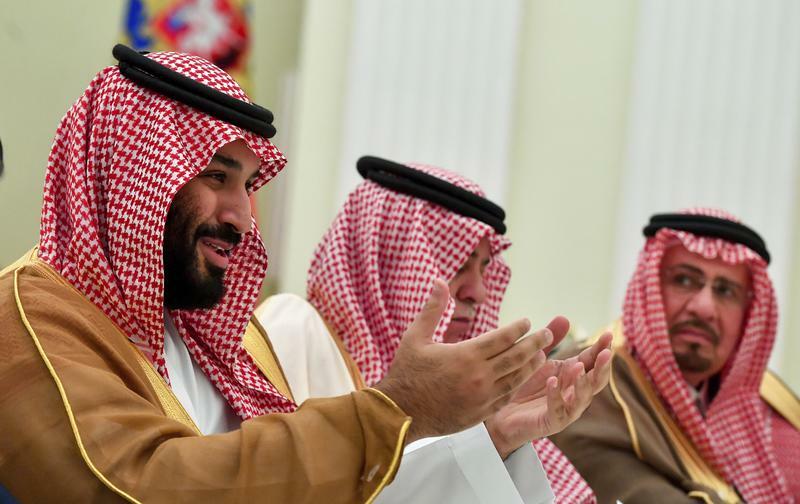 FEMALE CORRESPONDENT: 32-year-old Mohammed bin Salman, the crown prince better known as MBS, arresting many of his own cousins in a sweeping crackdown on corruption. FEMALE CORRESPONDENT: Guarded as one of the most conservative countries in the world, Saudi Arabia is an authoritarian absolute monarchy, where women's rights are extremely limited. But under MBS things are changing rapidly. FEMALE CORRESPONDENT: He is emancipating women, introducing music and cinema and cracking down on corruption. MALE CORRESPONDENT: In effect, he's leading a revolution from above. BROOKE GLADSTONE: It's a fawning characterization that Jamal Khashoggi disputed in an interview with NPR earlier this year. BROOKE GLADSTONE: As New York Times media columnist Jim Rutenberg noted, the MBS moniker has taken on a grim new meaning for what he refers to as the plugged inset of Washington, MBS is now Mr. Bonesaw. A new perspective for the Washington set perhaps but not for those who have been paying closer attention. Georgetown professor Abdullah Al-Arian last year assembled a timeline of 70 years of the New York Times describing Saudi royals as reformers. Abdullah, welcome to the show. ABDULLAH AL-ARIAN: Thanks for having me. BROOKE GLADSTONE: Let's start in '53. The headline you chose was New King Plans to Use Nation's Oil Income to Finance Social and Economic Measures. That headline could have been written last year. I'm thinking of Thomas Friedman's piece in November titled Saudi Arabia's Arab Spring: At Last, the Crown Prince Has Big Plans for His Society. ABDULLAH AL-ARIAN: Yeah that's really the hitch with this narrative is the fact that it's constantly on the brink of being that kind of enlightened, reformed, progressive society, you know, regardless of which king, which monarch happens to be in power at the time, they're always just aspiring toward something but just never quite seems to get there. BROOKE GLADSTONE: Which reminds me of the headline in 1960: King Saud Has Increasingly Assumed the Role of Liberal Champion of Constitutional Reform. And you note that the Saudi constitution wouldn't be adopted for another 32 years in 1992. ABDULLAH AL-ARIAN: Right and even then the constitution was only adopted by royal decree and not actually as part of any sort of political opening that was inclusive of the rest of society. BROOKE GLADSTONE: What do you think drives that kind of anticipation? ABDULLAH AL-ARIAN: These narratives tend to be constructed as part of a process by which the United States is attempting to justify its policies in the region attempting to justify its alliances on the basis purely in preserving its own interests. BROOKE GLADSTONE: But then again we also have dismemberments and beheadings and the oppression of women and so on as we see it in the West. And the government has to negotiate that thorny territory but it seems like the media has been a willing partner in that. ABDULLAH AL-ARIAN: You know, we have a kind of binary approach to viewing Saudi Arabia. I do think that it tends to be problematic, not just on the one side which of course the presented constantly is reformers but then there's also the sort of very stereotypical views as these barbaric civilizations and the kind of orientalist lens through which the Middle East is often viewed, lends itself to a kind of a carrot and stick approach. So, on the one hand, you paint them in a very kind of villainous role and then you give them the opportunity to reform and to become enlightened and the best example of that I would say is, is really looking at this last year with the Saudi crown prince. This new generation of Saudi elites has internalized these narratives over the course of many decades and actually come to play into them by essentially trying to placate certain liberal sensibilities things like granting women the right to drive or reopening movie theaters knowing that these kinds of things could be used as cover for things like a massive consolidation of power in a massively reckless and violent foreign policy that of course has seen its brutality taken out on the people of Yemen. This is sort of par for the course in terms of the way that everyone bought into the first line while kind of ignoring the second. BROOKE GLADSTONE: Thomas Friedman in The New York Times called Crown Prince Mohammed bin Salman more McKinsey than Wahhabi. ABDULLAH AL-ARIAN: Yeah I mean, you know, that's one of those classic lines that really jumps out. There's a specific kind of way in which we conceive of how the crown prince has kind of allied himself with particular policy elites and consulting elites and the ways in which he tailor made this message and I think you saw that a lot on the tour that he just took within the U.S. Just over the last few months. FEMALE CORRESPONDENT: The crown prince of Saudi Arabia stopped traffic and turned heads on his trip to Seattle to talk with Silicon Valley's biggest hitters. FEMALE CORRESPONDENT: Media executives Rupert Murdoch, Bob Iger and Oprah, too. This as Saudi Arabia dramatically opens up to foreign entertainment in the kingdom, going from zero to big bucks. BROOKE GLADSTONE: Let's talk about their PR effort. They're really good at this aren't they? ABDULLAH AL-ARIAN: I mean one of the things that really struck me is in every single interview that MBS did, including I believe a 60 Minutes interview, I mean you really had this honed line about Saudi extremism and support for sort of the most militant kind of Wahhabi ideologies that somehow pointed the finger back at Iran and this idea that 1979 signaled the turning point. ABDULLAH AL-ARIAN: And he said it in every single interview that he did and it was echoed by every single journalist who covered him while he was in the country. And as a result, he can be this white knight riding in and cleansing Saudi society of its extremist tendencies while at the same time he's actually engaged in far more war crimes than probably the several Saudi kings going back generations. The Khashoggi case, in a lot of ways, is the sort of exception that proves the rule in the ways that there has been, I would say, very laudable reaction on the part of the U.S. media, in particular, the newspapers that have been the most heavily implicated in that kind of gleaming coverage of Saudi Arabia going back many years. BROOKE GLADSTONE: You think there's been a move towards mea culpa? ABDULLAH AL-ARIAN: Well, I wouldn't go that far. I think that this case, in particular, hit a little close to home because Khashoggi represented someone who had sort of endeared himself, I think, to that same kind of elite and he made a lot of friends in Washington, that he, of course, was himself a columnist for The Washington Post. And so, as a result, I think we see this outrage that we don't normally see on the part of the press especially when it comes to the fact that these kind of incidents have been occurring with some regularity. Anybody who was either part of a social movement, religious preachers, feminist movement, student youth groups, anybody who had anything to say online on social media was basically rounded up. Sometimes people who didn't really say anything at all because just for their lack of explicit support for the regime, that was enough to see them hauled off to prison. BROOKE GLADSTONE: Did you see Roula Khalaf's recent article in The Financial Times? BROOKE GLADSTONE: She was talking about how Western journalists love to see every new leader in the region as a reformer first before proven otherwise. What do you think about that pattern? ABDULLAH AL-ARIAN: Well I mean I think that speaking about them as reformers is really just code for will they be reliable allies who will protect and preserve kind of U.S. interests in the region. And that's really the only measure. That if you live up to these kind of expectations, you can expect to be showered with more praise with more promises of aid and support and, you know, glowing media coverage. The article mentions a lot of examples including Assad Gaddafi and others. FEMALE CORRESPONDENT: Members of Congress of both parties, have said they believe he's a reformer. MALE CORRESPONDENT: Muammar, Gaddafi's second son was once regarded as the man who would bring Libya closer to the west. ABDULLAH AL-ARIAN: I mean one that comes to mind is Saddam Hussein that's not mentioned and I think it's interesting to see how his transformation occurred as someone who was a modernizer, someone who was seen as a reliable ally specifically during the eight-year war with Iran in the 1980s and then of course the moment that he breaks with the U.S. and decides to launch his own aggressive foreign policy specifically with his invasion of Kuwait in 1990, all of a sudden he becomes this sort of brutal dictator, all of a sudden people are paying attention to human rights abuses as though they didn't exist in the 1980s. BROOKE GLADSTONE: Does MBS no longer get a pass? ABDULLAH AL-ARIAN: If the narrative begins to shift again and all of a sudden, you know, somehow this all got swept under the rug and there is the opportunity to reinvent himself, yet again as this reform or perhaps even a repentant reformer, in this, case then I think that at that point we will have failed. But if there is going to be a kind of a continued critical engagement to the point where it's going to be really difficult for him to ever be able to sort of entertain the same kinds of, you know, business elites coming to visit or policymakers or getting the kind of glossy coverage that he's received up to this point, that may signal a massive shift. BROOKE GLADSTONE: And will you be watching the New York Times or Thomas Friedman's column? BROOKE GLADSTONE: Well that's, that's a really easy target. I think that given sort of how brazen it's been, but I think that this is a phenomenon that exists beyond. It's a much wider problem obviously and we see it across news networks and we see it across other papers and we see it even outside of the United States and the European context as well. BROOKE GLADSTONE: Abdullah thank you very much. BROOKE GLADSTONE: Abdullah Al-Arian is an associate professor of Middle East history at Georgetown University in Qatar and author of Answering The Call: Popular Islamic Activism in Sadat's Egypt. On Friday the Washington Post reported that conservative outlets and Republicans have not so quietly started a smear campaign against Jamal Khashoggi. To quote support Trump's continued aversion to a forceful response to the oil rich desert kingdom. The Post pointed to Republican Senate candidate from Virginia, Corey Stewart, telling a local radio program that the murdered journalist quote was not a good guy himself and commentators highlighting his association with terrorists. Before being known as a liberal analyst Khashoggi once did support Islamic movements and interviewed a young Osama bin Laden as a journalist. But none of this factored into the narrative being shared among Trump supporters. This is On The Media.